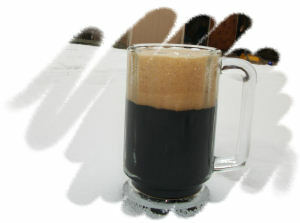 This recipe started as a BYO recipe for CZar's revenge, an imperial stout. Of course, it has been scaled down to my batch size and preferences. The original recipe was a way to get rid of several partially used packs of hops that had been accumulating in my freezer. I expect every time I brew it, it will be different based on what leftover hops I have sitting in there at that time. This beer is (if I do say so myself) simply amazing. It is Tweedleicious to the max. The roasty / chocolately / coffee like flavor is perfectly balanced by the various hops. There is not a hint of hot alcohol taste. At over 8%, you sure feel it quickly, though. Don't drink and drive with this one, kids. The thick beautiful head sticks around for the whole drink. 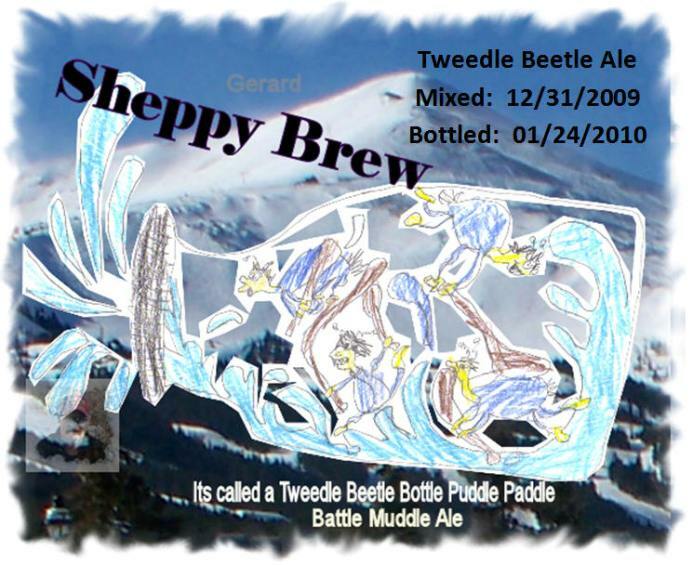 Simply amazing work by the SheppyBrew nano-brewery! Batch 1 was extract and Batch 2 was all-grain. This beer ages well. I had bottles from batch 1 almost 3 years after I bottled it and they seemed to get better and better.